I must apologize, but there is just simply no way for me to write up all that transpired at the 3-hour-plus work session last Thursday. There is just too much to share. 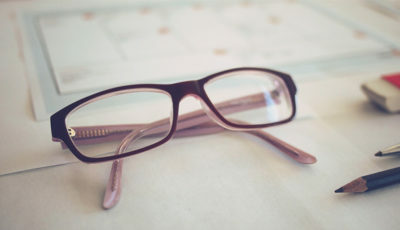 Check out the Tales from the Meeting blog for the Storify (all tweets compiled in one easy viewing) version of the work session along with links to video and other documents from the work session. State Superintendent Dr. Tommy Bice opened with a brief mention of the U.S. Department of Education’s approval of the waiver from No Child Left Behind Adequate Yearly Progress requirements. 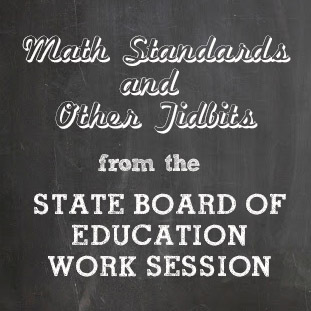 A presentation about the waiver will be given at the next State Board of Education (SBOE) work session. Click the links for Part 1, Part 2, and Part 3 for details of the waiver. 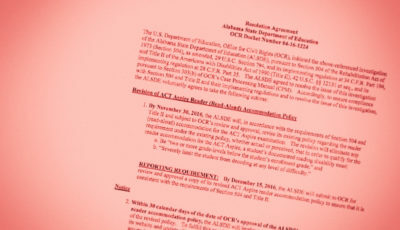 Some interesting tidbits were discussed, including the what-I-consider-big-news that academic standards will now be reviewed as needed, rather than just once every six years. 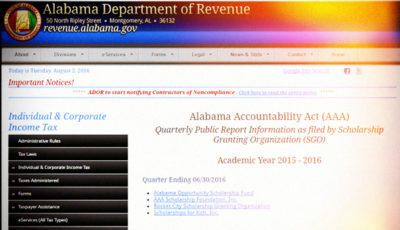 This isn’t the kind of story that attracts the media, but it’s big news for those of us who observed the war over the Alabama College and Career Ready Standards (CCRS) during the 2013 Alabama legislative session. The 2012-2013 school year was the first year that the CCRS math standards were implemented. During training and discussion throughout the year, the ALSDE received feedback and input from Alabama’s high school teachers that in addition to needing more training and professional development on how to implement the standards, some of the ordering and placement of what is learned in which order was not working, specifically where QualityCore testing was concerned (QualityCore End-of-Course tests in Algebra I were given to high schoolers for the first time this past spring). A team from the ALSDE listened to their feedback and switched around some high school math standards, moving some standards from one course to other. Here is a summary of those changes. 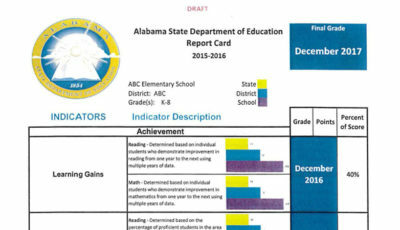 The ALSDE intends to continue examining and adjusting standards as needed, using “mid-winter feedback” from teachers and administrators to determine what needs to be done. CCRS English Language Arts (ELA) standards will be implemented during the 2013-2014 school year. Social Studies standards will be implemented the following school year. After the work session, I was told by a state education official that any teacher wishing to provide feedback on the math or other standards should first direct that feedback to their curriculum director at their district office, and that feedback in the form of e-mails and other communications could be shared through a school district’s Regional Support Team as well. From where I sat, the most exciting piece of the work session was the presentation by the Calhoun County Superintendent Mr. Joe Dyar and colleagues from the district about their Innovation School System Proposal. I will write about that in the near future when I obtain more information on how that will proceed and what involvement the Calhoun County school community has had in that process. An update on the state interventions in Midfield City and Birmingham City was given by the ALSDE teams assigned to those efforts. Bottom line is that Midfield seems to be improving, while many challenges remain with Birmingham City Schools. Private schools were on the discussion table next. Bice will meet with private school administrators on July 11 and 12 to re-familiarize everyone with the current private school rules and the new rules under the AAA. Here are the current rules from the Alabama Administrative Code. Bice presented the SBOE with a couple of “emergency” proposals for rules regarding private school licensure, but I didn’t get a copy. Here’s an article from the Dothan Eagle outling those proposals. Those proposals should be up for a vote at the next SBOE Meeting. Check out the Tales from the Meeting blog for the Storify (all tweets compiled in one easy viewing) version of the work session along with links to video and other documents from the work session. Next meeting is a combined work session and board meeting and will be held on July 9.